Leto is brought to his senses by the russeling of fabric. His captor enters and removes his stilsuit mask, Leto is shocked to see it's Gurney Halleck. Gurney warns him that Namri will kill him should the need arise. Leto automatically accuses him of joining his enemies using Paul's voice. Gurney warns him not to try any tricks on him, he follows Jessicas orders and what comes next is her command. He's got a syringe of spice essence and says Leto is to take the "worm trip" and approaches. Leto is outraged. As if already in the trance, he can't speak or move. He feels pain from the injection shoot up his arm to his head. He sees a girl roasting coffee and hears rebeck music, he feels large and his skin is not his own. Then he's in darkness, the stars falling like rain. Paul's persona says he will protect him while in the trance. Wind rolls Leto and the sand cuts him but it heals as soon as the cuts appear, his skin is not his own. His vision seperates into past and present, future and present, future and past, and they all combine in a "trinocular focus" to show him a relief map of the future. He realizes that time is a measure of space but measuring locks us into thoat place. Time moves constantly and he can't stop it. He sees what he and Ghani planned dominating the future. It's inevibility makes his ego cringe. He can't seperat past and present. Nothing stands still for him to label and he fears he'll lose his place in time. He tries to find the rythym of the change. He sees the past in the future, present in past, now in both. He sees many futures including Namri's "provisional future". Every inner life becomes his own. Now Leto sees past and future clearly and Paul no longer stands guard because there is no need. He sees his ultimate ancestor without whom there would be no future, Harum. Whatever future he chose, from now on he would live it with a trail of past lives. It is so powerfull it threatens to subdue him. It could make itself felt on the entire civilization. This is why Namri waits with the knife, he and Gurney could not find out about this. No one, not even Ghani could be allowed to. Leto sits up and tells Namri, "There's no single set of limits for all men. Universal prescience is an empty myth. Only the most powerful local currents of Time may be foretold. But in an infinite universe, local can be so gigantic that your mind shrinks from it." Namri just shakes his head. Leto asks where Gurney is, Namri said he left in case Leto had to be killed. Leto asks Namri to kill him, but since he asked for it, he refuses. Leto asks if he was supposed to kill Leto if he was indifferent, and he lies and says it's a sign of unbriddled power. Leto says there was no moral grandure in Paul's life, just a local trap he built for himself. I'd just like to note that, again, FH mentions that Leto can see the past through prescience. I'm reading through this book for the first time, and I just finished this chapter. What'd you guys think was intended by the last sentence - the one about there not being any moral grandeur in Paul's life, and that he built a trap for himself? Is it suggesting that Paul's life was morally reprehensible? Because I thought that Paul's moral standing was, although not infallible, much stronger than that of most men? Is it moral to dupe an entire people into thinking you're their messiah and send them out into the universe to force your made up religion on the populace? He did it to save his own skin and restore power to House Atreides, not to save humanity. Okay that's a great point, for some reason I had neglected to consider that.. Though I was under the impression that that entire situation was beyond his direct control, and rather was the inescapable path assigned to him by his oracular vision? And instead, his morality was shown in his (albeit unsuccessful) attempts to subvert this destructive path and oppose the jihad as a whole, and in his presumably attempting to assign humanity to the golden path (rather than abandoning the entire situation and seeking solitude elsewhere with Chani)? Fedaykin10 wrote: Okay that's a great point, for some reason I had neglected to consider that.. Though I was under the impression that that entire situation was beyond his direct control, and rather was the inescapable path assigned to him by his oracular vision? And instead, his morality was shown in his (albeit unsuccessful) attempts to subvert this destructive path and oppose the jihad as a whole, and in his presumably attempting to assign humanity to the golden path (rather than abandoning the entire situation and seeking solitude elsewhere with Chani)? He could have surrendered to the Harkonnens before meeting the Fremen. He foresaw this option in the stiltent with Jessica after fleeing Arrakeen. Of course that would have meant their possible death and the certain end of House Atreides. 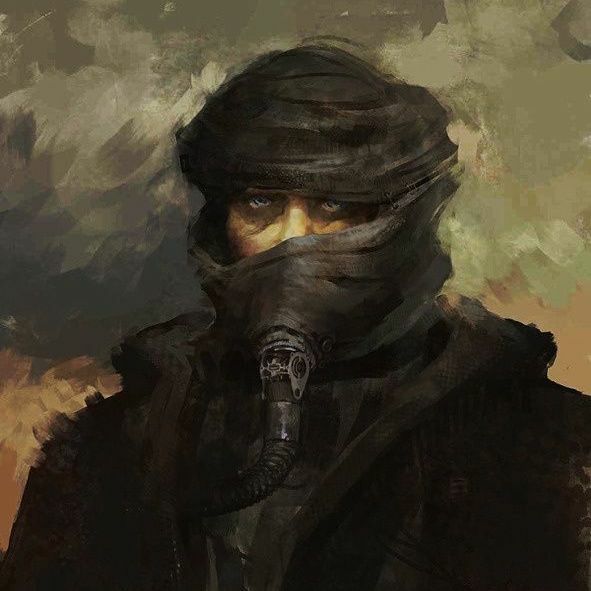 But he chose survival with the Fremen which he knew would unleash the jihad. Recall what Scytale says in Dune Messiah about having a power. Those with a power tend to fixate on it and use nothing but that power, forsaking other tools and options. Paul, as the KH, had been bred for one purpose and had the capability of fulfilling an amazing destiny. And even though this fact didn't need to bind him he chose the path of embracing his power and his breeding, which as Scytale suggests is a trap in itself since the pursuit of the lines of power is limited to the best strategy. When an opponent knows your best strategy he can lay traps for you, and in the case of a KH one's opponent is oneself. By locking oneself into the best possible outcome one destroys the fluid possibilities of the present and takes away the meaning of living. The trap of prescience is to use it at all, making one the most powerless being possible. As for morality I do believe firmly that Paul and House Atreides represented a sort of enlightened morality above an beyond the standard in the Imperium, but in the end Paul's personal morality was unable to have an impact on how he would rule. The tools of control overtook the possibility of continuing in his father's footsteps. Morality involves having a choice and making the moral choice, but in a scenario where one's choices are all but gone (such as in a prescient trap) morality cannot exist. georgiedenbro wrote: Recall what Scytale says in Dune Messiah about having a power. Those with a power tend to fixate on it and use nothing but that power, forsaking other tools and options. Paul, as the KH, had been bred for one purpose and had the capability of fulfilling an amazing destiny. And even though this fact didn't need to bind him he chose the path of embracing his power and his breeding, which as Scytale suggests is a trap in itself since the pursuit of the lines of power is limited to the best strategy. When an opponent knows your best strategy he can lay traps for you, and in the case of a KH one's opponent is oneself. By locking oneself into the best possible outcome one destroys the fluid possibilities of the present and takes away the meaning of living. The trap of prescience is to use it at all, making one the most powerless being possible. I think Paul's personal morality comes into play when he was in the still tent with his mother and saw the different futures before him - IIRC, the jihad or his surrendering to the Harkonnens. In one future, a war that encompasses the Known Universe. In the other, the defeat of House Atreides and maybe his and his mother's deaths. I think the moral choice would have been the second, which would have resulted in far fewer deaths and misery (this is assuming Paul did not see the destruction of humanity in the distant future). But Paul chose the first. That's what I said two posts up. I think this is the dilemma of the series, no? Leto taught Paul morality, but he also taught him victory, and one recurrent theme in the series is you don't get to be a House Major without prioritizing victory. Although it would have been honoring Leto's memory in a sense to allow House Atreides to die, it honored his memory in an even more important way not to allow that to happen. Victory comes first, and after that whatever leeway there is to have morality will be squeezed in. It's a luxury, in other words, rather than a necessity. Everything about how Paul was brought up (including both Leto's design and Jessica's) had trained him to rule and to win. I don't think allowing his House to die would have been consistent with Leto's teaching; even with his moral teaching. You're in a better position to allow for morality when you have power, or at least that's how the argument goes. With the Harkonnens in power there would never be morality again anyhow. Yes, Paul had two paths - the path of Maud'dib, or surrendering to the Harkonnens. You could argue that surrendering to the Harkonnens was the moral choice because it would've prevented the atrocities of jihad. However, it's hard to personally blame Paul for not surrendering. I personally would choose the path of Maud'dib over self-destruction. And in the event of a Harkonnen victory, they would continue climbing the ladder of power, possibly marrying into the Corrinos. Arguably, the Fenrings stood ready to divert this course of events to their own ends. But still, the Harkonnens were depraved and tyrannical by nature, and their continued influence was not necessarily the better choice, even in light of the jihad. a very important phrase comes into play here: terrible necessity. morally, which is the better option - avoidance of bloodshed, or the ends justifying the means? This question takes on a huge role in the series. Avoiding jihad and preserving the Imperium would've eventually led to human extinction, as is revealed later. Embracing the slaughter of jihad, and the absolute power of the God-Emperor, does not seem moral at all, but this is what was necessary for human survival and prosperity in the long term.